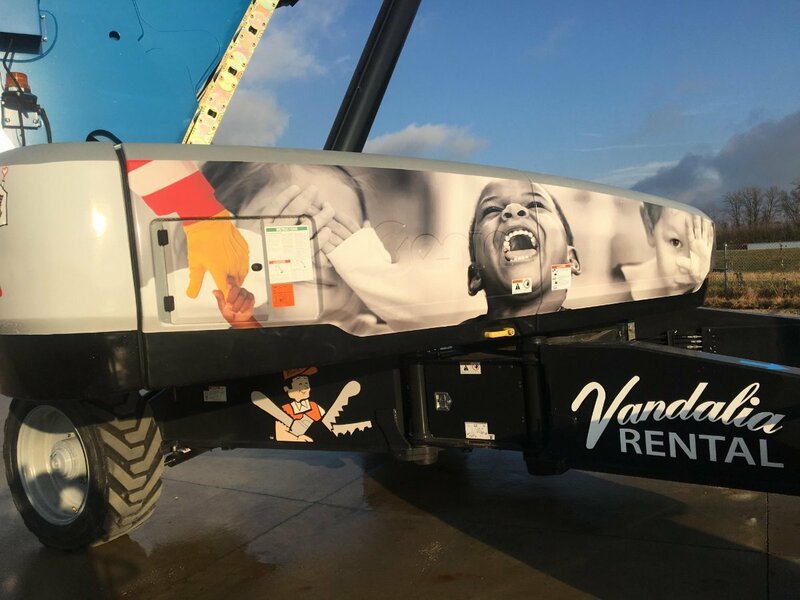 DAYTON, Ohio, Jan. 4, 2018 /PRNewswire/ — Vandalia Rental has launched a new philanthropic effort to benefit the Ronald McDonald House Charities. 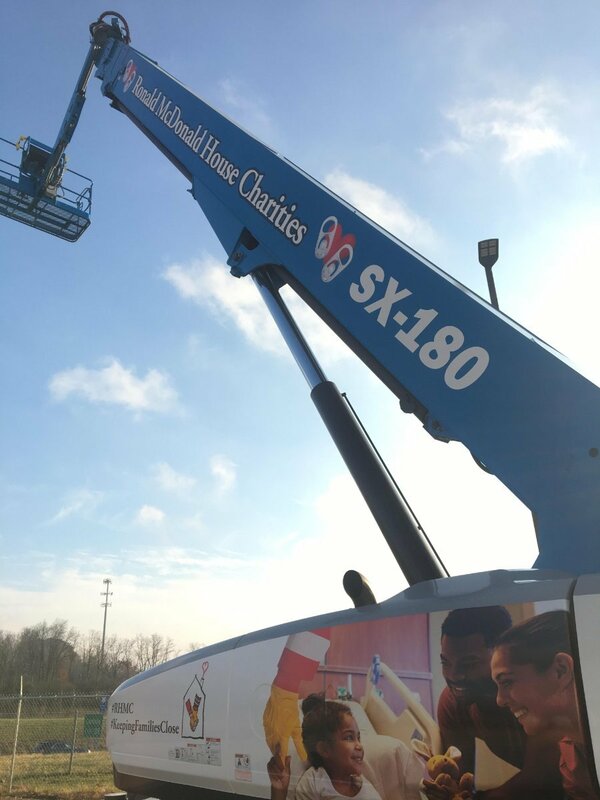 Vandalia Rental will donate 10 percent of the revenue earned from renting a Genie 180 foot telescopic boom lift, on a quarterly basis to the Ronald McDonald House Charities. While proceeds are anticipated to exceed $5,000 a year, Vandalia Rental will guarantee $5,000 a year minimum donation amount. 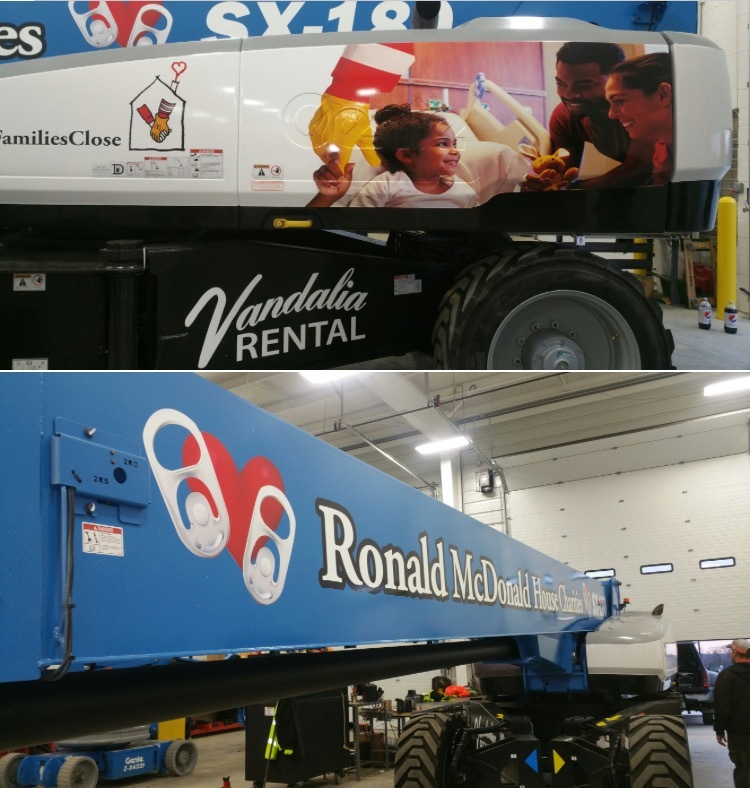 Vandalia Rental’s Marketing Director, Alisha Lange, has been working with Marketing Manager of Dayton’s RMHC, Brittany Miller, to develop a co-branded design to “wrap” around the boom lift. “Most are unaware of the generosity behind Vandalia Rental. Vandalia Rental encourages all team members to give back to their communities through numerous corporate donation matches and sponsorship opportunities,” stated Lange. This summer, the Vandalia Rental team voted to lend their support to this “home-away-from-home” for families of critically ill, hospitalized children in Dayton. They will be wrapping one of their Genie SX-180 foot boom lifts with graphics reflective of the Ronald McDonald House. Ronald McDonald House Charities of Dayton provide comforting overnight stays for families in order to keep them close to their critically ill children that are receiving treatment at Dayton Children’s Hospital and surrounding specialized care hospitals. They can accommodate 14 overnight families at once in their private guest rooms. This important charity helps families stay close to their critically ill infant, toddler, adolescent or teen while in the care of Dayton healthcare facilities. They are committed to improving the lives of the region’s children, as is Vandalia Rental. The Genie SX-180 is a very special piece of equipment. There are only a handful of them within the rental industry in the state of Ohio and Vandalia Rental currently owns two of them. The Genie SX-180 boom lift is the highest reaching self-propelled boom lift in the Genie Super Boom lineup. It is a specially adapted Super Boom capable of 180 feet of vertical reach combined with 80 feet of horizontal outreach to safely and quickly lift operators working in a variety of industries. Vandalia Rental recognized that most companies do not provide this specialized equipment and purchased the Genie SX-180. Because Vandalia Rental’s first priority is safety, MEWP training is available for operators and occupants of mobile elevated work platforms such as the SX-180 boom lift. Vandalia Rental encourages its team members to be involved in their communities. The positive impacts through volunteerism, in-kind giving, sponsorships, and leadership opportunities are important to the company. 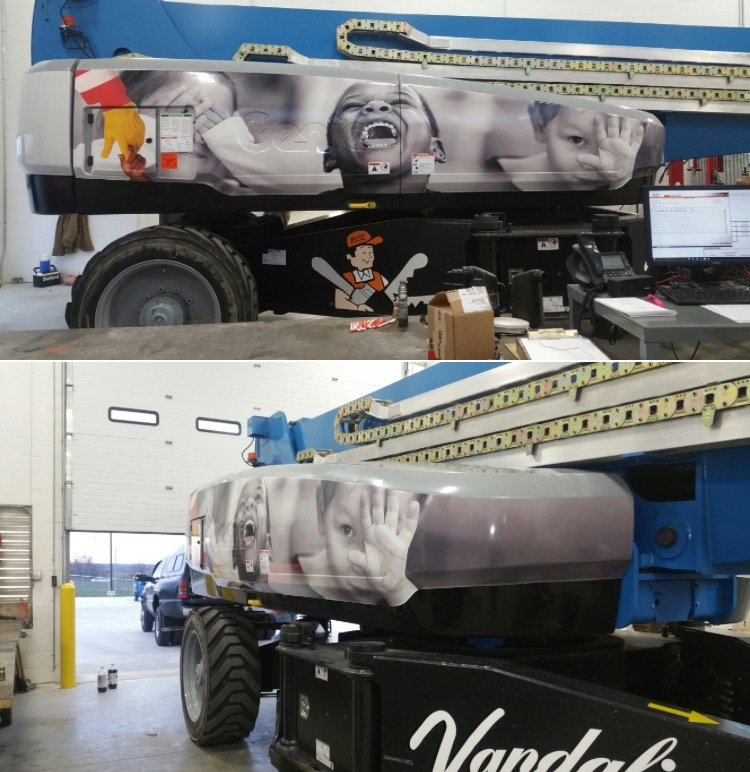 For more information regarding the rental of the Genie SX 180 boom lift, call Vandalia Rental at 1-800-321-5061, or visit them at vandaliarental.com. For press inquiries, please contact Vandalia Rental at [email protected].